With all the recent smartwatch talk about Samsung’s Gear Live, LG’s G-Watch and the upcoming Moto 360, it’s easy to overlook Sony. The company has actually been making touchscreen smartwatches for the past few years and it appears likely to debut a refreshed model next month. Don’t expect it to run Google’s Android Wear software though. On Friday, G for Games reported the third-generation of Sony’s smartwatch should debut in early September at Berlin’s IFA show. A credible source suggests the new model will have a higher resolution and support wireless charging; something the prior two [company]Sony[/company] smartwatches didn’t offer. The company is sticking with the square form it already uses for its smartwatches but may add some ruggedized features such as protection from dust and water. Obviously, Sony has experience in this market with its prior models. My hope is that the company has learned some lessons from those efforts. I bought the first model and quickly regretted it but the second time around, Sony did improve the experience. Perhaps third time’s a charm, as they say. In any case, if Sony doesn’t get it right, it could be facing an uphill battle against the many Android Wear devices on the market or coming soon. No, Android Wear isn’t perfect either, but I don’t see [company]Google[/company] easily abandoning the opportunity to quickly make it better and get even more data on what kind of information people are looking for from their wrist. I have the Sony SW2 and the now new LG G Watch – Sony is making a huge mistake not jumping on board with Android Wear. Wear’s features (mostly Google Now) eliminate the need for the multiple apps Sony requires (an app for every alert basically). Plus, Sony’s ecosystem of apps will never be able to keep up with the Android ecosystem. I like the physical characteristics of the SW2, but it is gigantic and feels like a court ordered tracking device. Having owned all 3 generations of Sony’s wearables (don’t forget the LiveView), I’ve been very impressed with the progress they’ve made between each iteration. If they can continue the trend, this year’s model should be impressive indeed. Last year’s effort (the SW2) beats current Android Wear hardware in two significant areas, daylight readability (with a transflective display) and battery life (4-5 days). And, it does already have water-resistance. The current Sony Smartwatch 2, which I’ve tried, IS more useful and displays much more information than the android wear watch I recently returned. The Android Wear required charging 2 times per day, with very little use. Sony went 2 days! Also, not enough info to make it useful at all. Just not ready for prime time. 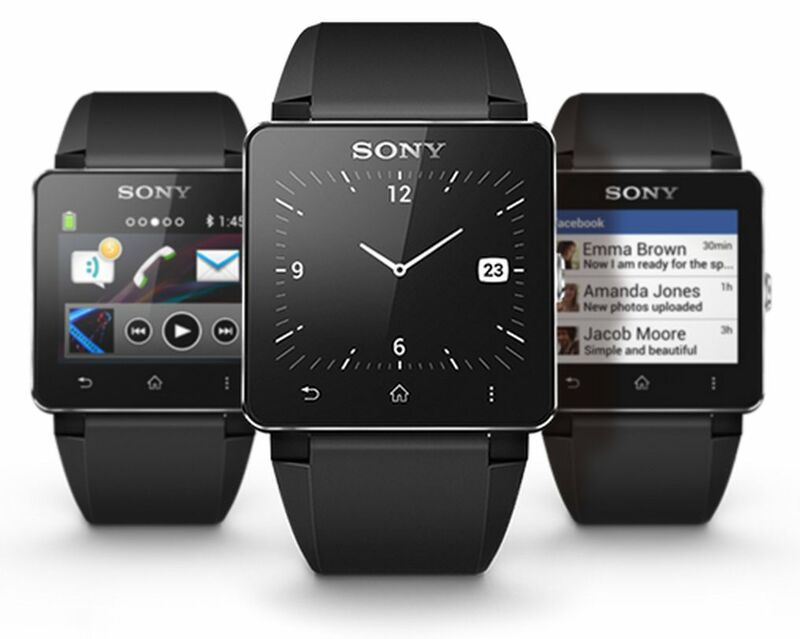 I’m eager to purchase the new Sony smartwatch 3! I’m glad Sony will offer an option in the market for those like me who can’t stand the locked down, poorly configurable Android Wear UI. Sony has one tap and there are your favorite apps! Much quicker and helpful.